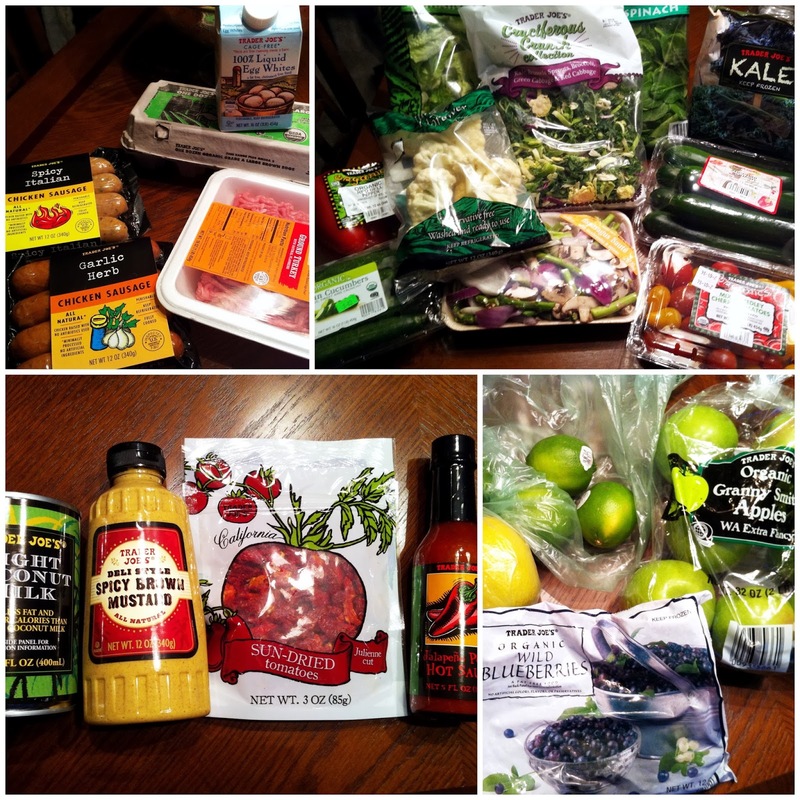 Just Jessie B: My Whole30 Challenge! Real, whole, nutrient-dense foods. High-quality meats, seafood, eggs, vegetables, fruits, and nuts/seeds/oils. So, why am I doing this? I'm not an 'unhealthy' eater, I don't really overindulge, and I eat a fairly clean/balanced diet. But let's be real... I'm not perfect. Like many healthy Paleo eaters, I have let little things slip into my diet that don't belong. Recently I have been having some major stomach sensitivity issues, which I'm pretty sure are from the casein in some of the foods I have been eating. (*cough*~Quest Bars) It's an awful feeling to have a horrible stomachache all day long & not know exactly what it's from. That feeling, along with the inspiration of lots of Instagrammers I've seen posting about their Whole30 success stories, is what has brought me here. Last, but not least, here's what I bought today @ Trader Joe's in preparation for my official start tomorrow. I closely inspected the ingredients lists to make sure these items were all Whole30 compliant! Please let me know if you have completed a Whole30 before (& have any words of wisdom for me), or if you're thinking of joining me on the journey! Even if you're a day or two (or more) behind, we can still be in it together! For extra tips/motivation, I will be posting lots of Whole30-related pictures on my Instagram, and plan on sharing some Whole30 compliant recipes here on my blog. Let me know if there's anything you would like to see! Today is the last day of my Whole30 challenge! It wasn't as hard as I'd thought it was going to be. I really did have some sweets (and wine) cravings thought! I've only been Paleo for four months, but this took that to a whole different level! I posted several of my favorite Whole30 recipes on my blog if you'd like to check them out. I packed and ate lots of fruits and veggies and also ate a ton of eggs over the last 30 days! Most Paleo recipe are either already Whole30 approved or easily modified. Good luck! You'll do great! Keep us posted. Um, there's casein in Quest Bars?? How did I not know this?? Ugh... Good luck on your Whole30! I just finished mine last week and feel SO much better. I drink enough wine for the both of us; I've got your back. Good luck! Keep us posted! I love the foods you're cutting out WAY TO MUCH. You're stronger than I am (we witnessed this at Cheesecake Factory haha). Go girl. Win big. I'll pop a bottle open with you when this is over. @ Katie~ I know, such a bummer! They contain "milk protein isolate" which is a form of casein... My stomach is not a fan! :( I'm happy to hear you made it through your Whole30, I'm already feeling really good from it! Hello Jessie! My name is Cassie and I came across your blog searching for Coconut milk coffee creamer (congrats on the SEO on Coconut milk coffee creamer btw :)) I have a new blog myself www.adoreyourhealth.com and I see that we both shop a lot a Trader Joes and we are both located in California. I thought I would ask if you would like to cross reference each others blogs in future posts! Have a look at my site and write me on my contact page if you are interested! Hope to talk to you soon!